A new CompTIA study examines cloud's now ubiquitous reach, and the implications thereof. Internet Life. NetGuide. And CyberSurfer. Industry veterans will recall a time when these once popular publications heralded the new “world wide web” as the technology of the moment. Alas, they were gone in the relative blink of an eye once the internet went mainstream — casualties of technology ubiquity. The latest tech trend of the moment, “cloud computing,” has reached a similar maturity, says a new report published this week by CompTIA. The report, “2018 Trends in Cloud Computing,” chronicles just how mainstream cloud computing has gone, says report author Seth Robinson, senior director for technology analysis at CompTIA. “Our report finds that cloud has transitioned from an emerging technology that people are trying to figure out to an established one that is now a staple of computing infrastructure, applications and more,” Robinson says. From a practical standpoint, the maturity means that basic migrations are done. Ditto for simple cost-benefit analyses and SaaS experimentations. Practically everyone’s mail is now in the cloud, their data storage, backup and recovery, too. With experiments behind them, end customers are trying figure out how best to deploy, leverage and secure their hybrid architectures that increasingly have cloud technology underpinning them. “In the early stages of cloud, we were really doing the same old IT on a new model. What the later stages of cloud are about is doing a new form of IT. It’s that simple,” Robinson says. Ninety-one percent of firms are using cloud computing in some form. Six in 10 companies have more than 40 percent of their IT architecture in the cloud. Three-quarters of businesses have between one and five years of experience with cloud solutions. Robinson concurs. 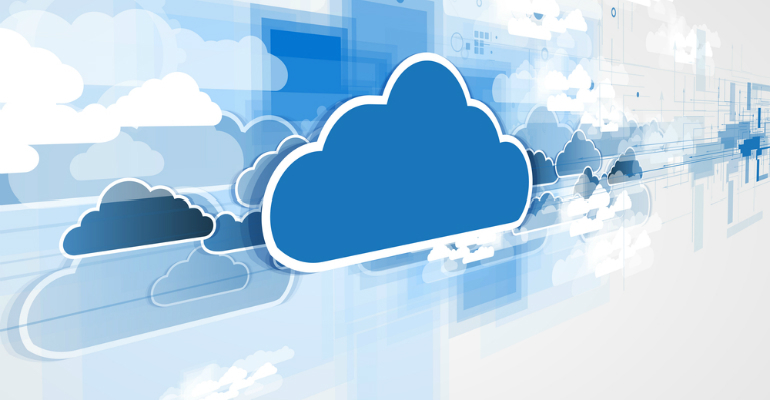 His study finds that cloud computing has become a critical part of IT operations. It also chronicles how cloud has become the key driver in decision making and infrastructure planning, and why its difficulties or challenges are more than outweighed by the business benefits that the technology provides. Take emerging technology, for example. According to the CompTIA study, 81 percent of respondents say that cloud has “greatly enhanced or moderately enhanced their efforts around automation.” It literally has become the surest path for embracing new technology such as AI, virtual reality, blockchain, IoT and more. The potential upside for IT solution providers? They could be more valuable to customers, says Robinson. The latter point is an important distinction. CompTIA says a significant percentage of end customers have a direct-first mentality when it comes to the cloud. What this means is simple: When interested in a new technology, end customers tend to go directly to a vendor’s website to give it a try. While many eventually turn over the management and securitization of cloud technologies to a third-party business partner, the “try-it-first yourself” mentality represents a major shift in technology delivery and decision making. As a consequence, channel companies, be they tech influencers, digital marketers, managed service providers, IT consultants or VARs, must zero in on the distinct value they provide, Robinson says.